This is the second generation of the incredible Porsche 911 Carrera GTS and it goes on sale from this month with the first deliveries arriving from November. The car will now sit alongside the acclaimed Cayman GTS, the Panamera GTS and the Boxster GTS. There will be four models to choose from in the Porsche 911 Carrera GTS line up with a coupe Cabriolet available with either all wheel drive or rear wheel drive. Porsche says it has built on the core values of this iconic vehicle and added various technical features to improve dynamic performance and driving enjoyment. Under the rear lid is a flat-six engine that will produce 430 HP, that’s 30 HP more than the Porsche Carrera S.
Drivers of the new car will find that it comes with a firm’s Sport Chrono package which essentially offers dynamic engine mounts and their active suspension management which lowers the vehicle’s ride by 10 mm. New Porsche will go from 0 to 62mph in just 4 seconds! This second-generation 911 Carrera GTS is also more frugal than the car it replaces and should return around 33 mpg and reach from 0 to 62 mph in just four seconds (though in the Cabriolet version it’s a tad more glacial at 4.2 seconds). 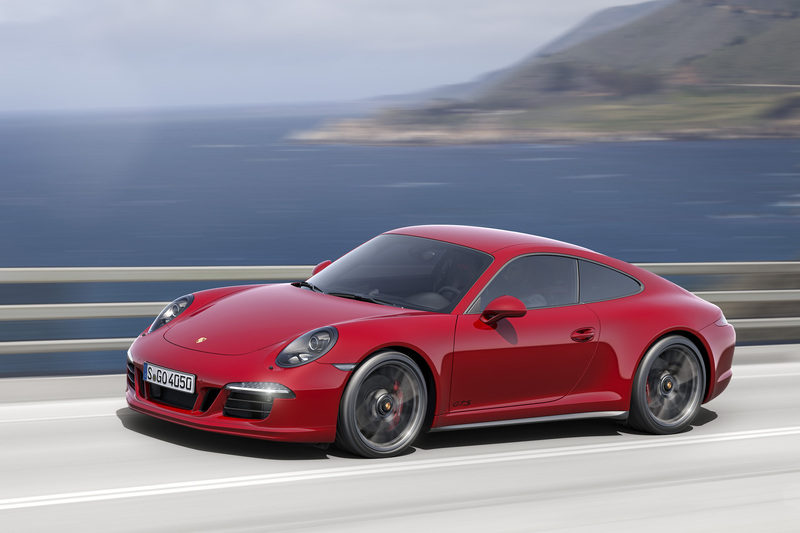 If anyone wants to put the car through its paces, the Porsche 911 Carrera GTS will reach 198 mph. Standard kit includes 20 inch alloy wheels, smoked bi-xenon headlights and a special trim. Other visual styling additions include black chrome plated exhaust pipes and the rear engine has a GTS black trim painted on it. Prices for the Porsche 911 Carrera GTS start at £91,000 for the GTS Coupe and rise to £104,000 for the 911 Carrera 4 GTS Cabriolet. There’s a lot of car for the money and the Carrera is phenomenally popular with Porsche also throwing in a driving course at their experience centre in Silverstone. Would you have the brass neck to drive a plastic Porsche? This entry was posted in Car Leasing, Cars, New Cars, Performance Car, Sports Car and tagged 911 Carrera GTS, lease the Porsche 911 Carrera GTS, Porsche 911, Porsche 911 Carrera GTS by Steve Lumley. Bookmark the permalink.